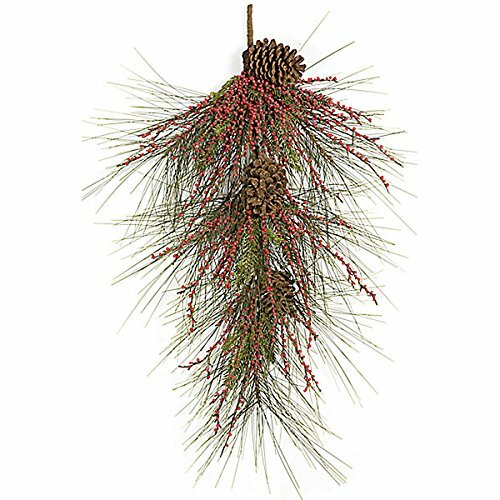 Stunningly beautiful, this 36" artificial long needle pine, berry & pinecone teardrop swag will never need a drop of water or pruning. Deck your home with our gorgeous, handcrafted swag. Easy to store and reusable, as it never wilts, and is crafted to last for years! Place it proudly above your mantel, an exterior door, window or even on your kitchen wall to create a timeless holiday theme! And... You'll get to cherish it for a lifetime! Actual size after shaping: Height - 36", Width - 28"